I have always said this, time and again. Dance is not just an art form, but a way of life. When I dance, I dream with my feet. It is a priceless gift given to me by god, which has become an integral part of my life. I cannot thank the almighty enough for this talent. People who know me will tell you how much I respect, worship, and love dance. I am sure the blog's name says a lot about that. 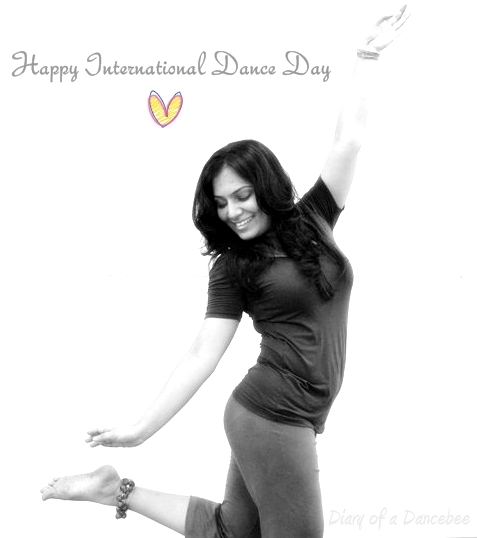 Happy International Dance Day to all the readers, dance lovers and amazing folks across the globe. Now, let's take a look at what this post has in store for you (apart from my love for dance, of course). Lavie recently launched their new range of handbags, and asked some popular fashion bloggers to create a 'Summer Special' look. I wanted to create multiple looks, as it was tough to choose just one bag from their fabulous range. But ultimately, I decided to create one outfit,which includes some of my favorite trends and colors for summer 2013.It is something that anyone, from any age group can carry off with panache. A simple, yet sophisticated outfit with a touch of bold red to add some drama. As we all know, stripes are big this season. 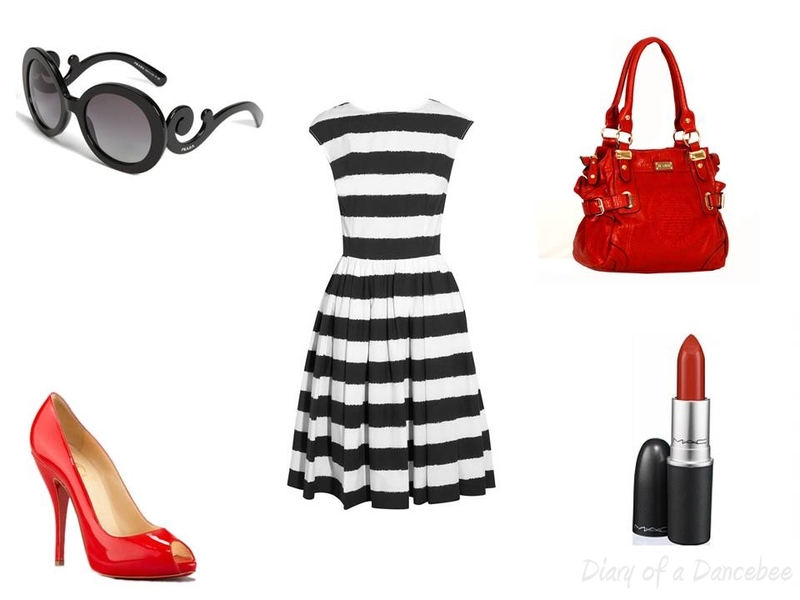 But instead of making it look boring by pairing this D&G striped flare dress with either white or black, I decided to add some color. What better than a color like red, right? Lavie's Country medium satchel looks amazing with the Louboutin red peep toes (I know that not everyone might own a pair of louboutins, but what the heck! You can always replace it with any good pair of red peep toes). Matte lipsticks have replaced all those old school glosses and shiny lipsticks. Hence, MAC's Ruby woo is just what you need to complete the look. And yes! Don't forget to carry these stunning Prada minimal baroque sunglasses, to save yourself from the scorching heat. take time out and try doing a jig or two today. All for the love of dance! Good post, Nice bag and lipstick shade is amazing. I had a beautiful time in this beautiful place. It reminded me of the Canon Center in Memphis, Tennessee. A beautiful, sonically wonderful place that had excellent music. This way we can stay connected with each others blog.